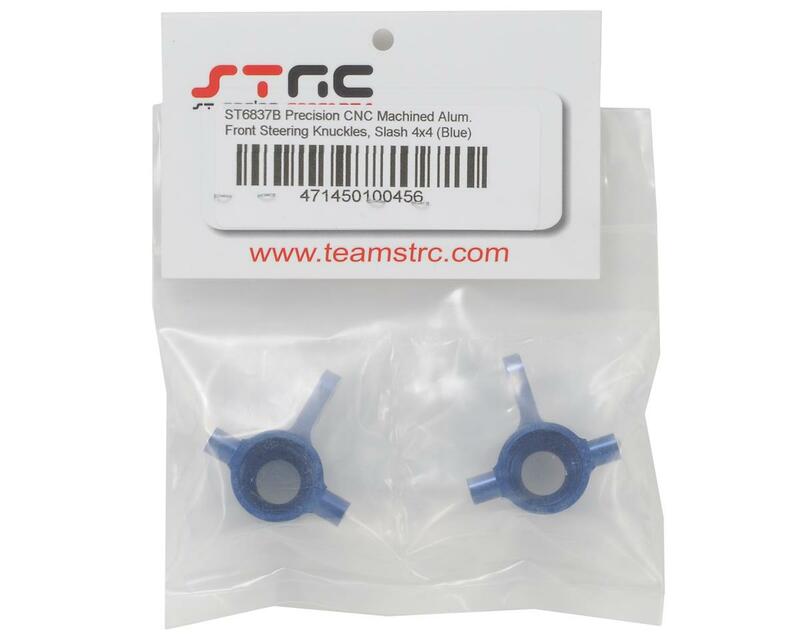 This is a set of optional ST Racing Concepts Aluminum Front Steering Knuckles, and are intended for use with the Traxxas Slash 4x4. 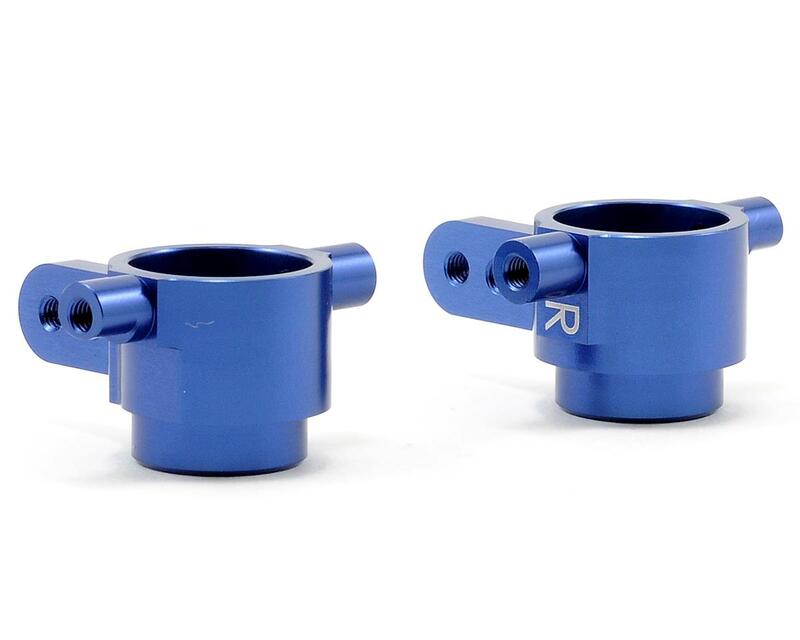 Precision CNC machined from high-grade aluminum, these steering knuckles greatly improve durability and adds killer factory looks to the front suspension of your Slash 4x4. Note: steering knuckles are marked with "L" and "R" for easy identification.